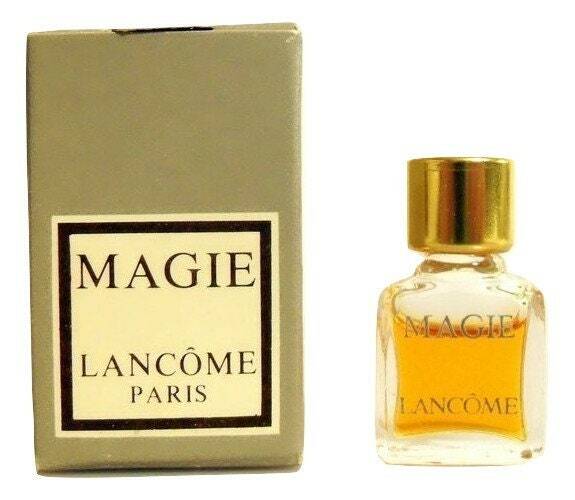 Vintage 1970s Magie by Lancome Pure Parfum Micro Mini Miniature Perfume and Box. The bottle stands just over 2" tall. Bottle is full - see photo for actual fill line. The perfume is old and no longer fresh. 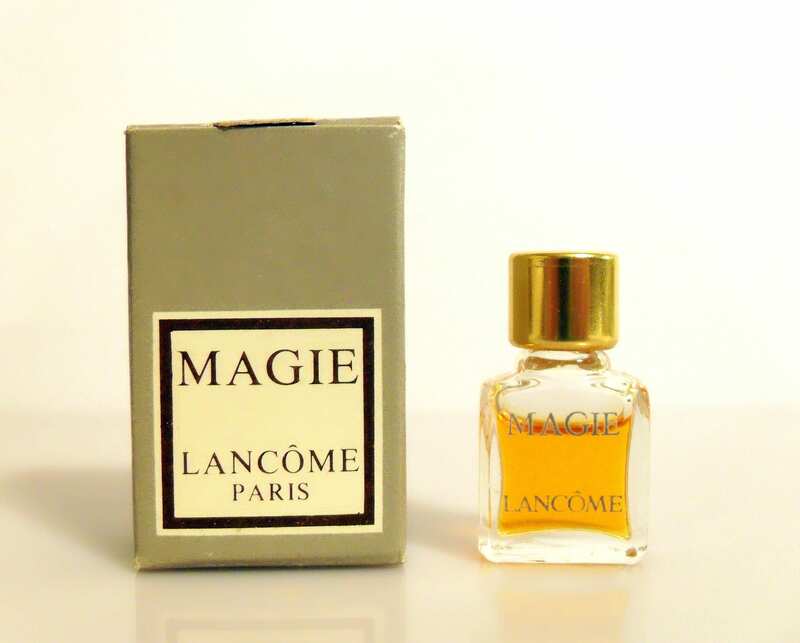 It is classified as an aldehydic floral oriental fragrance for women. 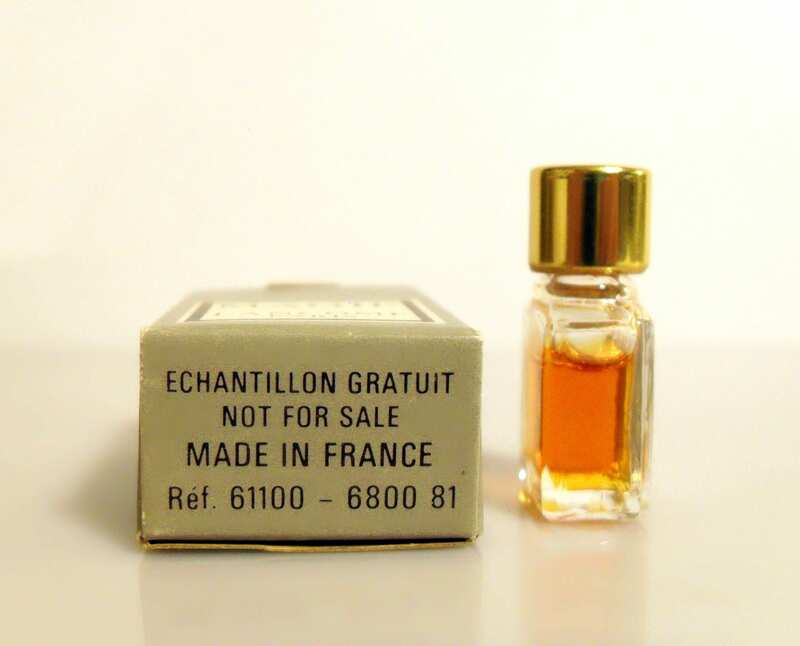 This perfume has been discontinued for many years.